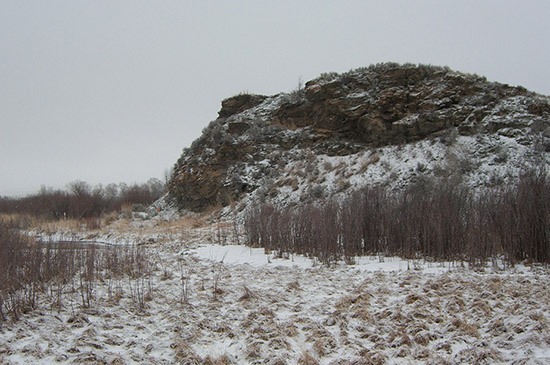 The burial mound at the Anzick site. To resolve the issue, the team used a process called Specific Amino Acid Radiocarbon Dating, which allows a specific amino acid, in this case hydroxyproline, to be isolated from the human bones. Artifacts from the Anzick site. While not the earliest inhabitants of the Americas, Clovis is the first widespread prehistoric culture that first appeared 13,000 years ago. 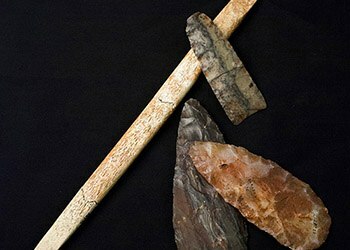 Clovis originated south of the large Ice Sheets that covered Canada at that time and are the direct descendants of the earliest people who arrived in the New World around 15,000 years ago.